Lifestyles are constantly changing. Today less time is spent on preparing meals, while people are still searching for a balanced diet and new tastes. The food industry must meet consumer expectations by creating new products, especially for the ethnic markets, which are convenient in the portion, taste, more appetizing and reasonable priced. The word gelatin comes to us via the French gelatin meaning edible jelly and gelato meaning to freeze. In Italian, its gelatina, "a jelly made of bones of beef" was mentioned in the diary of Englishman John Evelyn in 1682 when describing the results of a demonstration of the first pressure cooker. Gelatin is a natural food and can be considered a natural complement of meat-bases proteins. It is obtained from raw animal materials. Gelatin is low in fat content with no cholesterol and is totally digestible. Gelatin in Mexico is a traditional homemade dessert prepared by moms everyday in big ring-molds with fruit and layers and especially for holidays and birthdays. It is the equivalent to ice cream served with cake for many occasions in the U.S. Gelatin ready-to-eat can be bought at delis, bakeries, local markets, club stores, schools, hospitals and catering trucks. It can be served for breakfast, lunch or dinner as a refreshing snack. Gelatina is very important in the Hispanic diet and it brings nostalgia of being back home. 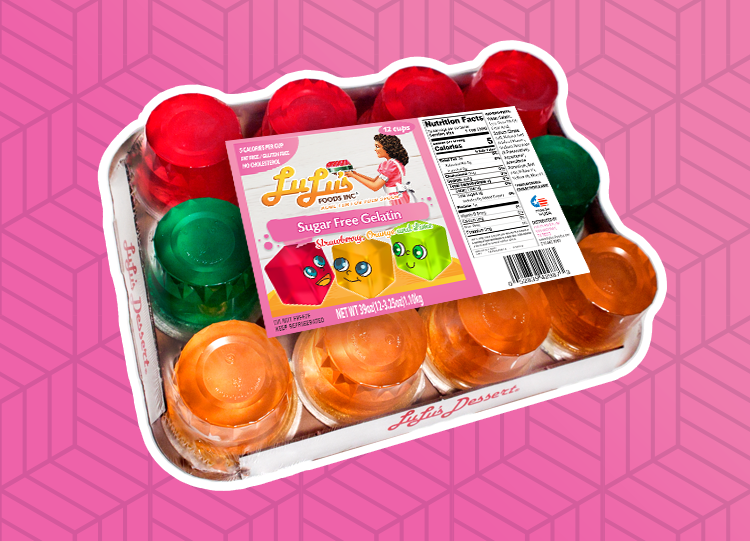 Lulu's® is the pioneer of ready-to-eat gelatin desserts category in the country since 1982. 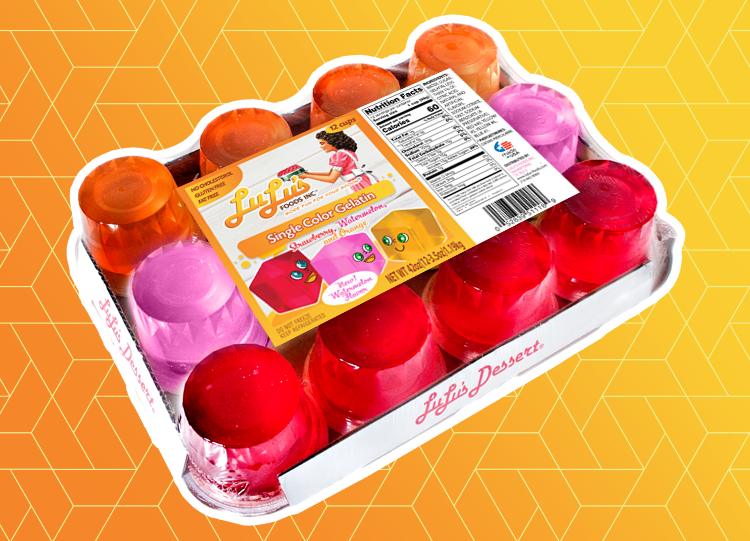 Lulu's® boasts unequaled quality in the gelatin dessert market. Lulu's® has a full time product development department dedicated to quality control and development of new products. Lulu's® delivers more for the consumer's money than any of its competitors. Lulu's® desserts are more nutritious than most of the others on the market. They are not only cholesterol free, but also predominantly fat free. Lulu's® desserts are available in a wide range of sizes from single cups to larger family sizes. Lulu's® is changing its packaging using the Lulu's Dessert® Corporate trademark image of homemade desserts giving more fun for your spoon®. They are particularly popular among elementary children. Kids love Lulu's® in their lunch boxes. No preparation is necessary. Our ready-to-eat desserts are consistent with todays on the go lifestyle. The shelf life of our products ranges from 90 to 365 days.